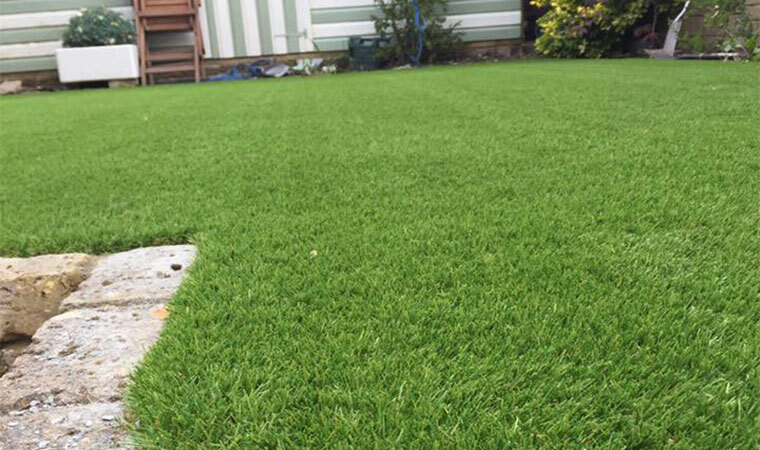 We were invited to help fix a back garden with artificial grass in Hextable, Kent. The garden had huge potential but with a lively Springer Spaniel dog the lawn was looking a mess. 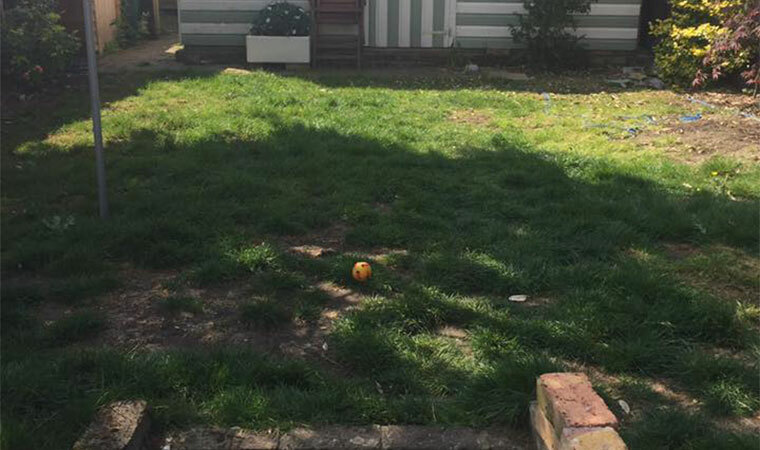 By creating simple parallel lines with artificial grass either side of the garden running from the stone brick wall to the summer house we are able to open the area up and make it look much bigger. An extra course of bricks was laid on the top step so we could run the grass flush with the wall. A total of 5 tonnes of aggregates and a concreted in timber frame will keep this lawn looking good for many years to come. The grass fitted is The Knoll.